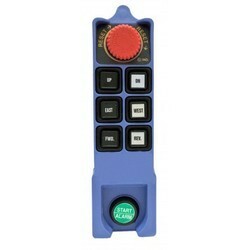 Manufacturer of a wide range of products which include radio remote control - impact 302, radio remote control - sport s8, radio remote control - sport s6, radio remote control - sky 301, radio remote control - sky 302 and radio remote control - sky 401. Impact 302 is a Robust Radio Remote Control with 6 Single Double Operations + Start & Stop. The Rugged design allows this Remote to withstand harsh handling conditions. The compact and high performance Sport-S8 Radio Remote Control is cable of operating 6 single step functions along with the Start & Stop function. Its sleek and compact design makes it simple to operate using a single hand. 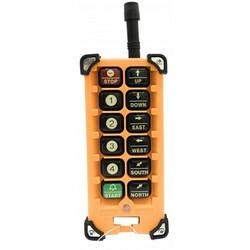 The compact and high performance Sport-S6 Radio Remote Control is cable of operating 4 single step functions along with the Start & Stop function. Its sleek and compact design makes it simple to operate using a single hand. Sky-301 is an Ergonomically designed Radio Remote Control for 6 Single Step Operations and a Lockable Emergency Stop Mechanism. Its simple and easy to operate design, makes it the favourite of most users. Sky-302 is an Ergonomically designed Radio Remote Control for 6 Double Step Operations and a Lockable Emergency Stop Mechanism. Its simple and easy to operate design, makes it the favourite of most users. 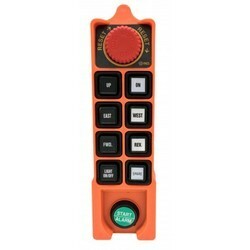 Sky-401 is an Ergonomically designed Radio Remote Control for 8 Single Step Operations and a Lockable Emergency Stop Mechanism. Its simple and easy to operate design, makes it the favourite of most users. Sky-501 is an Ergonomically designed Radio Remote Control for 10 Single Step Operations and a Lockable Emergency Stop Mechanism. Its simple and easy to operate design, makes it the favourite of most users. Impact 501S is a Robust Radio Remote Control with 10 Single Step Operations + Start & Stop. 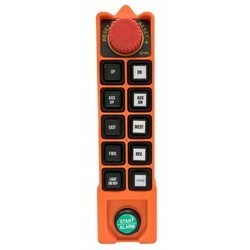 The Rugged design allows this Remote to withstand harsh handling conditions. 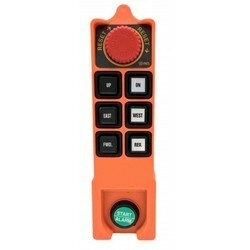 Sky-402 is an Ergonomically designed Radio Remote Control for 8 Double Step Operations and a Lockable Emergency Stop Mechanism. Its simple and easy to operate design, makes it the favourite of most users. Sky-502 is an Ergonomically designed Radio Remote Control for 10 Single Step Operations and a Lockable Emergency Stop Mechanism. Its simple and easy to operate design, makes it the favourite of most users. Impact 301S is a Robust Radio Remote Control with 6 Single Step Operations + Start & Stop. 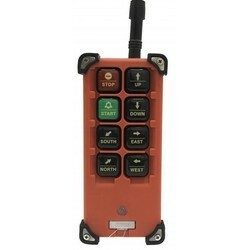 The Rugged design allows this Remote to withstand harsh handling conditions. Looking for “Radio Remote Control”?